Why: As the mist settles between the mogotes of the lush Viñales Valley, these epic limestone hill formations tower over the landscape like age-old giants. Dotted with palm trees, the arable land here is largely used for tobacco crops, cultivated using traditional techniques dating back several centuries. You’re bound to see an old man chewing tobacco atop an oxen-pulled cart working his way through the fields. The caves scattered amongst these hills were once home to indigenous communities, long before the Spanish conquerors arrived, making this place steeped in history and significance. In addition to the natural wonders, the rich vernacular tradition in architecture, crafts and music, has won the valley UNESCO World Heritage status. In recent years it has become a major destination for outdoor pursuits including hiking, biking, rock climbing, bird watching or spelunking, although tourist development has been sensitive and you can feel utterly isolated if you choose. 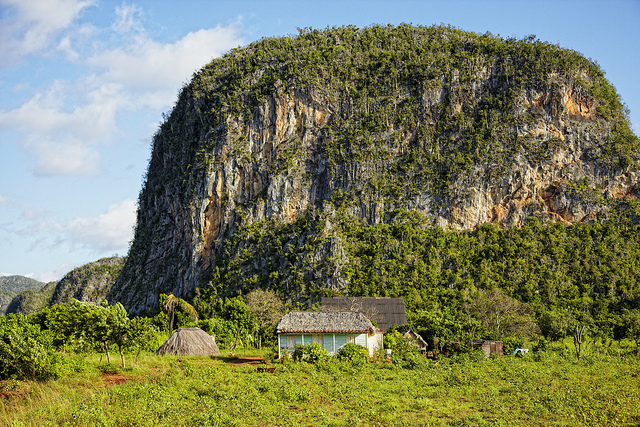 Viñales village is the usual jump off point for explorers, which, despite the tour groups, remains picturesque and sleepy. It rains most afternoons. Just think of the lush vegetation as you shelter under a tree. Why: Even before you’ve reached the doors of your hotel or casa here, you will have heard the sound of the island’s sweet salsa, the beat of a drum, a song from an open window, or the first chords of the band striking up in the plaza. As you walk the narrow streets, just follow your ears. The entire city moves to a contagious beat, as if music is the city’s lifeblood. In many ways it is. This was the birthplace of the distinctive Cuban musical style Trova with its poetic lyrics and improvised refrains. It is also home to numerous regional bands playing son, salsa and rumba. 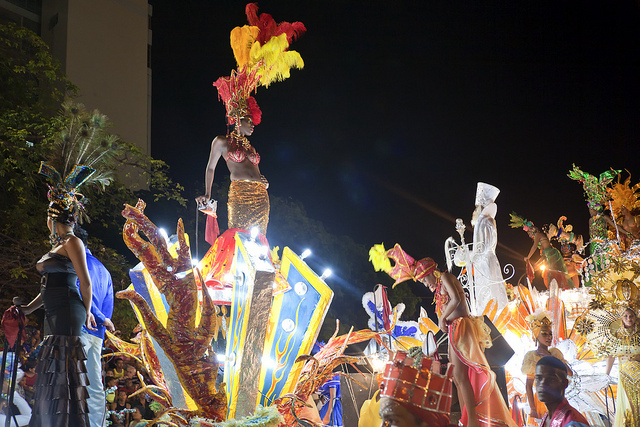 The spontaneous cultural of live performances reaches a heady zenith during the Fiesta del Caribe and Carnival in July in a rush of colour and feathers. The Casa de la Trova here is the country’s most famous and it would be easy just to park up here for the duration of your stay with a cup of ron and open ears. Why: One of the original seven villas founded by Diego Velazquez in 1515, Camagüey grew fat on its sugar fortune in the 17th century, as grand squares, churches and monuments sprung up, architectural hallmarks of a leading Spanish colonial town. Camagüey stands out, however, from other colonial towns for its labyrinthine layout with serpentine streets and irregular urban blocks. Plagued by pirates, it is thought this structure was intended to confuse the marauders, though now it plays the same trick on the tourists. Get lost amongst the lanes of multi-coloured houses and discover neoclassical cathedrals, Art Deco palaces and wide bright plazas at every wrong turn. The architecture isn’t suspended in a vacuum – this is very much a working, modern town, and boasts a thriving art scene, as well. Home to many of Cuba’s most celebrated artists, head to the Plaza del Carmen to explore this hub of artists’ studios and galleries. Why: Cut off from the rest of Cuba for hundreds of years by the wild jungle-covered mountains of the Guantanamo province, Baracoa – Cuba’s first settlement – developed a food culture unique to the rest of the island. Accessible only by sea, it was here that exiles were abandoned to their fate, though there are far worse fates to endure. The oyster-shaped bay, lined with white sand beaches and the impressive anvil-shaped El Yunque Mountain in the backdrop, boasts ten rivers running through the dense tropical jungle, with an abundance of natural resources. Cocoa, coconuts, mangoes and bananas are the agricultural staples present on most dining tables, and the cuisine has a distinctive indigenous influence. The area is famous for its sweets from delicacy cucurucho - a mix of grated coconut, sugar and usually a fruit such as guava inside a palm leaf – to chorrote, the thick local chocolate drink. Also common is fish in lechita, a creamy milk and coconut sauce. But simply having a freshly caught lobster cooked up by the locals who live beachside is enough of a treat. Why: Most nights, Parque Vidal slowly fills with the city’s youth, as groups gather in each corner under the orange lamplight exchanging rowdy shouts between them. The scene is lively and boisterous, just like this city. Santa Clara isn’t for everyone. It’s Cuba’s grittiest city, home to the most prestigious university outside of Havana, which draws in the large student population. But it is these young people that are to thank for the excellent and edgy nightlife from bohemian terrace bar Peña El Mejunje with its poetry readings and live performances to Brutal Fest, a ten-day Cuban rock festival. This isn’t Santa Clara’s only appeal. 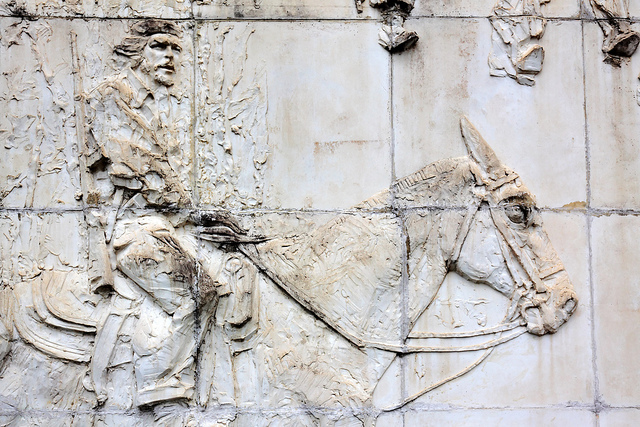 Heroic guerrilla Che Guevara has reached near saint-like status here – even more so than elsewhere – as this is where his remains are entombed. Visit his mausoleum, or any of the many monuments or museums in his honour, such as the Boxcar Museum. This is where Che along with 18 young revolutionaries derailed an armoured train using nothing more than a bulldozer and some Molotov cocktails, effectively ending the Batista regime in 1958.